While I was at the Social Media Camp in Canada I had a chat with Steve Dotto about his webinars. He said that he could predict the revenue from his webinars based on the number of email subscribers. So naturally, his focus was on getting more email subscribers. If you’ve built a well thought-out process but your conversion rates could be better, maybe there is something you’re not seeing, some part of the process that could be improved, or a common mistake that you could eliminate. 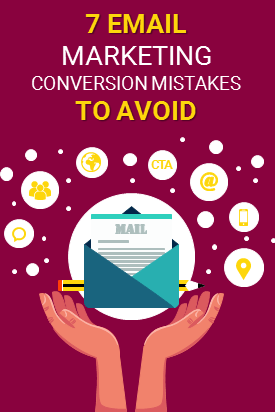 Here are 7 mistakes to avoid making if you want to increase your email marketing conversion rate. In order to improve your conversion rate you must first be familiar with the current and historical state of things. This may seem obvious to you, but there are surprisingly many marketers and business owners who ignore this simple fact – unless you measure something you don’t know if it is working or not. You’ll get your email conversion rates by looking at the various optins on your website and dividing the number of unique visitors by the number of conversions for that optin. If you don’t already have these statistics, then this should be your first action! After you build your subscribers you can start tracking their activity. For example, you can use the analytics provided by your email service provider to analyze link clicks and other relevant actions your recipients take after an initial optin, or leverage a tool such as ClickMeter that allows you to track conversions by placing a pixel in the Thank You page. Another, more technically complex way to track your email conversions is by setting Goals in Google Analytics. To learn how to do this, read my article on how to setup Google Analytics goals. If you’re not split testing your emails, you won’t be able to understand how different factors affect your email conversions and if you’re getting the best results possible from your emails. Split testing can be used to test almost any element of your email marketing campaign, from optin forms to the subject lines and CTAs – anything that can directly or indirectly affect your conversion rate. Split tests provide the most relevant results if you test one element of your campaign at a time. It’s all about getting a better idea of what your subscribers will respond to or what version of the campaign will drive the highest percentage of people to complete the desired action. There are a range of split test tools and specialist Conversion Rate Optimization tools that you can use to test different elements of your email campaigns. Using poor performing opt-in forms can really hurt the results you’re getting from your email marketing campaigns. There are many variables involved in creating a high-converting optin, but most people still tend to use generic forms putting little to no effort in testing and customization. When so many optins on the Web look the same and ask for the same information, people simply start ignoring them. You need to make sure your optin is not ignored and go beyond using basic templates offered by email marketing platforms. I recommend using a tool such as OptinMonster which offers a lot of useful features for creating custom opt-in forms that capture people’s attention, enabling you to customize colors, fonts, backgrounds, etc. The tool also lets you A/B test your forms and analyze their performance. Growing your email subscriber base is great, but your goal isn’t just to have an email list. You want to have a list of engaged subscribers and the most effective way to get there is through lead nurturing – a process of building meaningful relationships with your leads. Even if they fall into qualified leads category, at least half of your leads aren’t ready to buy from you. You need to build trust in you and your brand by creating lead nurturing campaigns that are well-timed, offer something relevant, and written to educate your leads or help them solve a specific pain point. Most email marketing solutions offer lead nurturing tools that allow you automate your emails based on specific actions your leads take, helping you send the right email at the right time with information that is relevant to them. With some smart automated lead nurturing campaigns, you’ll increase your email subscriber conversions. Not giving enough of an incentive to subscribeAre you providing something that will attract visitors’ attention, something of value in exchange for signing up to your email list? If you’re not incentivizing action, you can’t expect to get too many subscriptions. People naturally want to know what’s in it for them, so make it clear that by subscribing they are actually participating in an exchange of value. For example, you can offer a free e-book, a time-saving cheat sheet, or some other helpful resource exclusively to people who sign-up to receive your blog updates. Alternatively, you can offer a subscriber only discount code on purchases of your product or service. There are so many creative ways to motivate people to subscribe – the bottom line is give them a good reason to do so! Not using social media to send people to your optinIf someone is following you on social media they are obviously interest in your brand. Don’t miss out on the opportunity to promote your optin offers and encourage your social media fans and followers to sign up. You can promote your offers on Facebook, Twitter, LinkedIn or other relevant social media channels through pinned posts, regular updates, or even paid social ads if you have a budget to invest in building subscriber base. Before you start actively promoting your offer on social, make sure you have a dedicated landing page to send new visitors to. 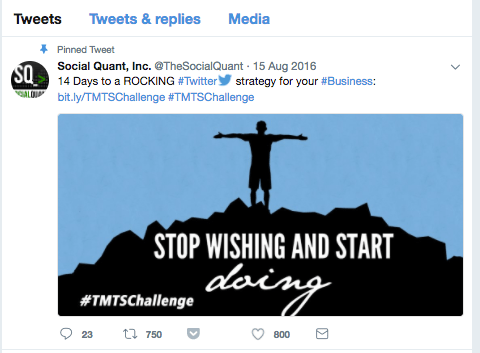 Here’s an example of SocialQuant using a Pinned tweet to send people to an optin. You can see that this has been retweeted over 750 times. This is because it’s pinned to the top of the Twitter feed so all new followers will see it. Showing the same optin to people coming from different places e.g. social media sites, websites, blogs, etc. will negatively impact your conversion rates. Visitors landing to your optin offer from different traffic sources will have different mindsets and you should target them with different messaging. Use a tool that has advanced targeting features which allows you to customize your optins for visitors from specific traffic sources (e.g. Optionmonster). If you know what your email conversion rates are, you’ll be able to make improvements. 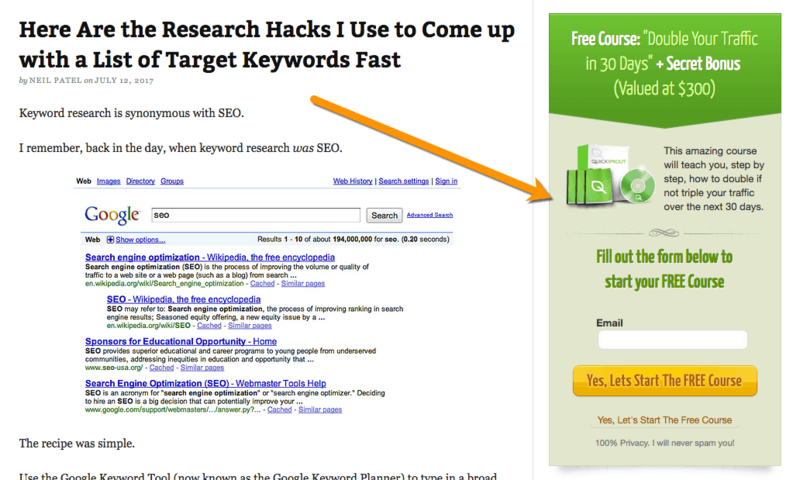 You can easily double your conversion rates if you avoid the mistakes outlined above!